We're joining Miss Spenser's Special Teas for Teacup Thursday today. 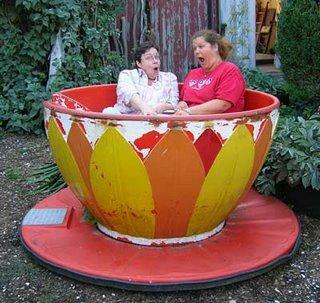 Here, Tina of The Essential Herbal and Susanna mimic the whirlwind action of this amusement park teacup ride. This funky teacup, acquired during the closeout auction at Williams Grove Amusement Park several years ago, is currently planted in our herb gardens as a reminder of days gone by when we would enjoy the Teacup Ride on a hot summer day. Now, it offers photo opportunities for many that stroll the garden as they reminisce about their own whirlwind summer days at the park. The teacup, shown here during the Fairy Festival, fills up more readily with bubbles than it would with tea. Visit Miss Spenser's blog for links to more delicate teacups! Tucked in a corner of the garden is the "Make a Wish" tree that was offered during the Fairy Festival. 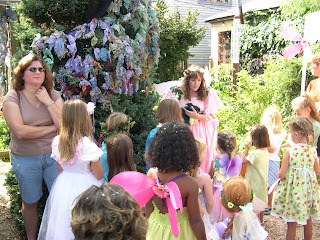 Guests were invited to write their wish, dream, or desire on a piece of cloth and attach it to the tree. If you didn't want to write down your wish, you were encouraged to hang the cloth as you expressed your wish silently. Many wishes are gently blowing in the breeze, waiting to be fulfilled. 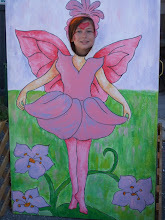 Since this was done during our Fairy Festival, a large majority wished to be 'a real fairy' or something such as this one 'I wish I could fly please'. Others expressed the desire 'not be afraid', or a wish for 'peace & love'. 'The best day ever', and 'fun with everyone' were also expressed. And my personal favorite, 'I wish I lived in Candyland'. Given the opportunity, what would you wish for? We are joining Miss Spenser's Special Teas for Teacup Thursday today and sharing a fairy like teacup gift from a sister that recently traveled to Dresden, Germany. She presented me with this lovely petite golden lined rose cup and leaf saucer souvenir from her travels. It is a perfect addition to the fairy collections. Thank you Marj! Be sure to visit Miss Spenser's Special Teas for links to additional participating blogs! Aaarrgh... me maties.... 'tis International Talk Like a Pirate Day! Aye! Cast aside ye woeful worries and sail the high seas with yer mighty buckos whilst we seek tea, herbs, spices and gold whilst singing sea chanties until the four bells chime. Yo! Ho! Ho! And some day you'll be fairy kissed. some dancing and singing, and tea parties, of course. And Posie the Fairy will share her magical activities with those that believe. Here's the complete listing of the upcoming Schedule of Events. 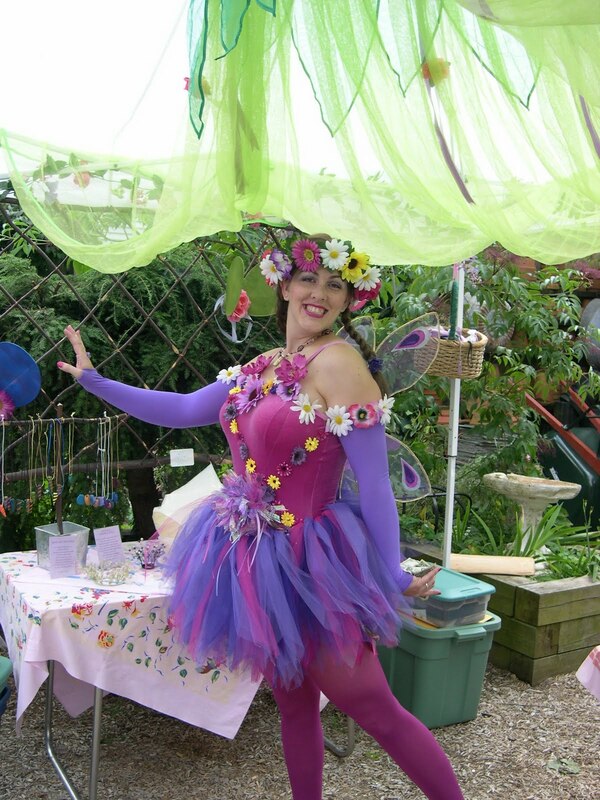 It's Fairy Festival week.... the anticipation is building! See you on September 11th and 12th! begins and ends within your home.